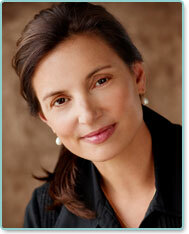 Dr. Vargas is an accomplished surgeon, specializing in facial plastic surgery. Known for consistently exceeding her clients' expectations, Dr. Vargas' goal, very simply, is for a beautiful, natural outcome. During the initial consultation, Dr. Vargas will perform an in-depth analysis and offer several different option plans to reach your aesthetic goal. Dr. Vargas will skillfully complete your procedure while her dedicated, caring staff will facilitate the process. She has a gift for making her patients feel calm, reassured and thoroughly informed throughout the process. Dr. Vargas lectures at regional and national medical society meetings. She has written numerous articles in peer-reviewed journals, most recently in the Archives of Facial Plastic Surgery and is a recipient of the American Medical Association's Physician's Recognition Award. Dr. Vargas has been featured in magazines such as Lucky and Women's Edition. Dr. Vargas is passionate in her support of victims of domestic violence. In conjunction with the national coalition against domestic violence and the Academy of Facial Plastic and Reconstructive surgery, Dr. Vargas takes a firm stance against violence against women. Recognized as a RealSelf Top Doctor (TOP) awarded to less than 10% of doctors on RealSelf.